Will you have enough to fund your retirement goals? Join us for this timely and informative session. Pre-registration is required by June 2nd to 604.240.8550. There is no charge to attend. 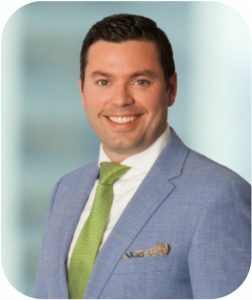 Chadwick D. Walker is an Associate Portfolio Manager with Odlum Brown Limited. He works closely with Odlum Brown’s equity and fixed income research team and the firm’s wholly-owned subsidiary, Odlum Brown Financial Services Limited, to develop a comprehensive investment strategy for his clients’ wealth. In addition to his investment industry accreditations, Chadwick holds a Bachelor of Science in Applied Physics from Simon Fraser University, and a Bachelor of Education from the University of British Columbia. His consultative, scientific approach to investing provides his clients with a clear understanding of their financial situation, so they can be confident and excited about their investment decisions.